The disappearing-message app trades 6 pct below its March debut. Morgan Stanley downgrading the company it took public didn’t help. 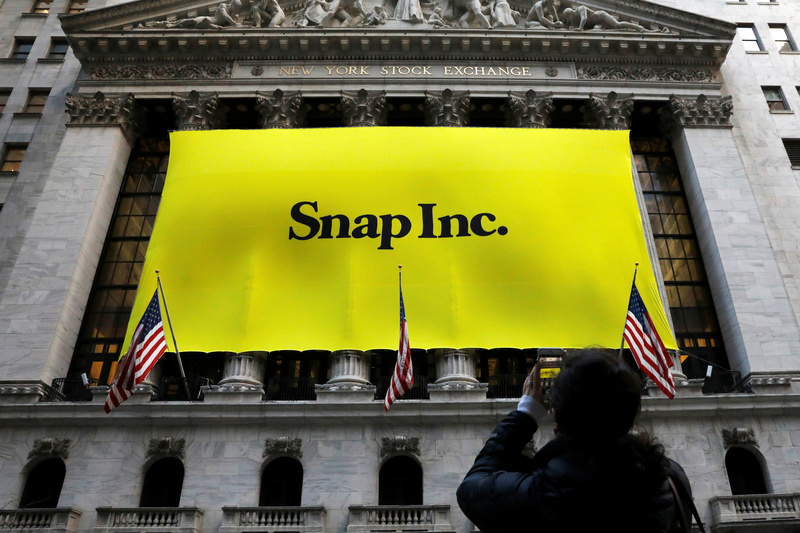 But awful corporate governance, doubts about its ability to grow and competition from Instagram all put Snap under longer-term pressure. Snap shares on July 10 closed at $16.99, just below the $17-a-share price of its initial public offering on March 2. By 10:20 in New York trading on July 11 the shares had fallen a further 6 percent after analysts at Morgan Stanley, whose bankers acted as the lead underwriters on the IPO, downgraded the company and lowered its price target to $16 a share from $28 a share.